If you're shopping for a compact sedan or wagon that can take on the worst that winter has to dish out, the Impreza's all-wheel drive trumps its competitors' front-wheel drive systems every time. A good car built to last. My car is perfect for me, it is not too big or too small. It is designed so I can go shopping and have plenty of room to bring most purchase home with me. It is comfortable to drive, great for my dogs, grandkids and myself. Even my oldest grandson likes it as much as his truck. Best thing is its reliability, bought in 2008 the only thing I have had to replace is the battery and the tires. How good can it get for someone who hates to spend money on cars. My vehicle is 11 years old and still running smoothly. There have been no significant issues. There was a recall on the airbags that was slightly inconvenient, but overall, it is a very well built vehicle. There is a lot of trunk space, which is nice. There's also plenty of room in the seats. The radio does not come with auxiliary plugs, which is fine since the car is older, and any simple radio purchase would fix. 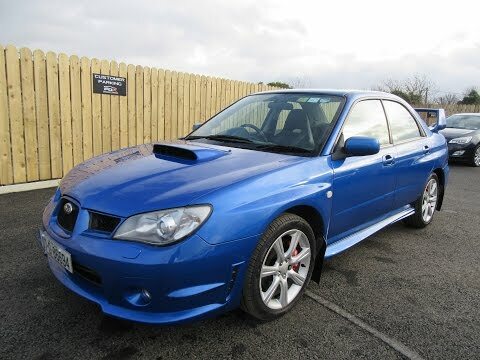 This is my fifth Subaru Impreza non-turbo. The problems I have experienced are with power steering fluid leakage, air conditioning compressor failure, and rear wheel bearings. Performance is excellent, especially with a performance exhaust and cold air intake. I find it to be comfortable. The best part is how it hugs the road around turns. Symmetrical all-wheel drive allows me to go anywhere in the snow. 2007 Subaru Impreza. Start Up, Engine, and In Depth Tour.